It's good to know that a film like this could make a tiny difference and bring something uplifting in this new dark era we're in. Plus, it looked the kind of film that could be overlooked but it ended up being this unlikely hit because of word-of-mouth. I haven't seen it yet but I know it's likely that the film will become something critics, audiences, and film historians will talk about 10 years from now. I just picked up Hidden Figures from the library to watch again, and I'm really looking forward to it. I read the book after seeing this movie, and it only made the film seem better. It was great to see such a commercial success largely through word of mouth like you mention. I loved this far more than I expected to. That's partly due to the fact that I walked into it rather blind. I had a general knowledge that it was about the space program and from the title deduced that it was going to look at some unexamined part of it but that was it. Right from the beginning when they were working on the car it engaged me and the rest of the audience I was seeing it with. It's too bad all three women didn't score noms, Octavia is great but no better than Monae or Henson...but there's only so many slots in each category so whadda ya gonna do? Even though their subject matter prospective is very different this reminded me a great deal of Apollo 13 in that even though the outcome was known your interest in the story never lagged. That's a credit to the director as well as the story. Hopefully its major success will wake up some Hollywood execs to the fact that there is an audience for these mid range budget films that are well made and tell interesting stories. There used to be so many of this type of film in the 70's and 80's and even the early 90's then Blockbuster-itis took over and drove away many of the audiences that would attend this type of film. Joel, I've found that going into movies cold is often a really good idea. I'd seen the trailer and knew the basics yet hadn't learned much about the real story. 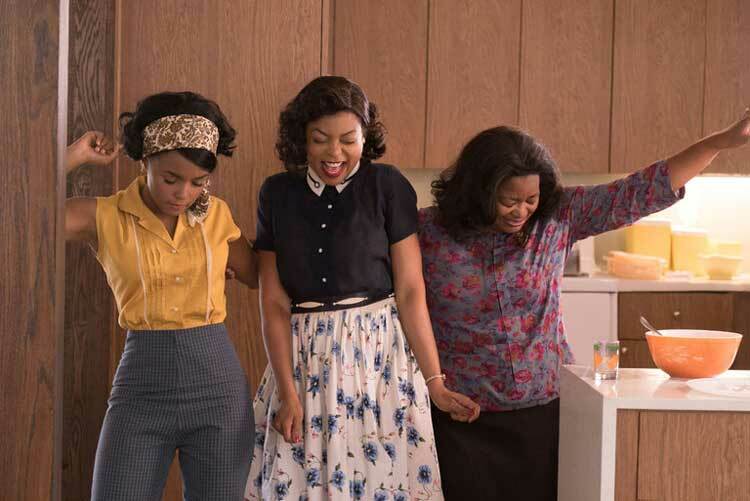 I think that helped to make Hidden Figures click with me even more. All three lead performances were so good! I thought that Henson stood out the most, but Monae was also great too. And I have no arguments with Spencer getting nominated. You make a good point about Apollo 13 and the real-life story. I knew that John Glenn obviously survived, but the tension was still there. It's been great to see how well the box office has been. I was stunned to see a lot of people at a Saturday afternoon showing, and it wasn't the opening weekend. I've heard great word of mouth across the board too. I'm glad that you enjoyed it!